Nieuwland Geo-Informatie is a specialized ICT company focused on geographic information. We combine experience in geo-technology with in-depth knowledge of areas as ecology, water, forestry, spatial planning and traffic infrastructure. 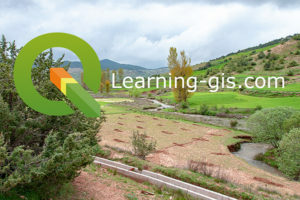 Nieuwland Geo-Informatie is established in Wageningen to provide advisory and technical assistance to governmental bodies, public and private institutions, to local governments and municipalities as well as their affiliated companies and to international agencies and firms. Our strengths lie in the fields of providing specific expertise and know-how and management consultancy. We are well known for our network in the sector. Nieuwland successfully handles complex projects such as development, management and user support. Even more typical for Nieuwland are highly specialized projects in close co-operation with end-users. Nieuwland operates independent from software vendors in order to provide clients with the best solutions. With its flexible structure, Nieuwland Geo-Informatie keeps strengthening its role and reputation in the market of geo-information technology. Geo-information plays a major role in the information needs of the future. Nieuwland ensures that governments and industry achieve increased efficiency by work with geo-information. From the overview and insight of a map one can save time, booking accurate work and better control . Our customers choose us for the use of our specialist hosting services, for a geodatabase, for webmap services and to improve their geodata quality. Nieuwland Geo-Information develops smart applications for web, tablet and smartphone. We always focus on practical performances, use the latest techniques and seek affordable solutions. Since the late eighties Nieuwland is a well known education centre for training in Geographic Information Systems and Web Mapping. We offer workshops, courses , E-learning, training programs, customized trainings, user documentation, online help modules etc. Temporary shortage of specialized knowledge or staff? We have years of experience in employment and secondment in the field of GIS and Geo-Information . The high degree of professionalism combined with our service-oriented corporate culture is a hallmark of our organization. Our staff are specialists in GIS with specific competencies . These professionals work for numerous organizations on a temporary basis. The secondments are at competitive rates. – specialize in intuitive, map-based user interfaces. WebGIS Publisher is a user-friendly management tool for compiling and publishing thematic maps. The App as a practical tool for your business / proceedings on location . Your own App+Map in short time. The map is an essential part which operates even without internet connection. 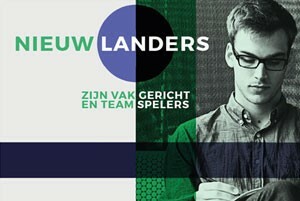 Nieuwland develops and implements GIS since 1986. Major Geo-ICT contracts have been awarded by the Dutch Ministry of Water Management, Transport & Public Works, the National Forest Service, the Ministry of Spatial Planning, Environment and Housing, the Cultural Heritage Agency of the Netherlands, various Waterboards in the Netherlands, local governments, energy companies, engineering firms and water suppliers.